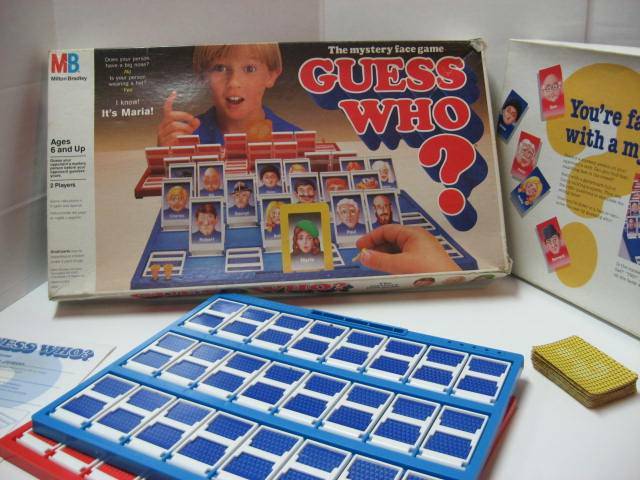 As a child I loved playing “Guess who?” by MB games. If you’ve not seen it before the aim of the game is to work out your opponents character before they guess yours. You ask Yes/No questions (eg. “Do they have a hat?”) which helps you narrow down who the person is. 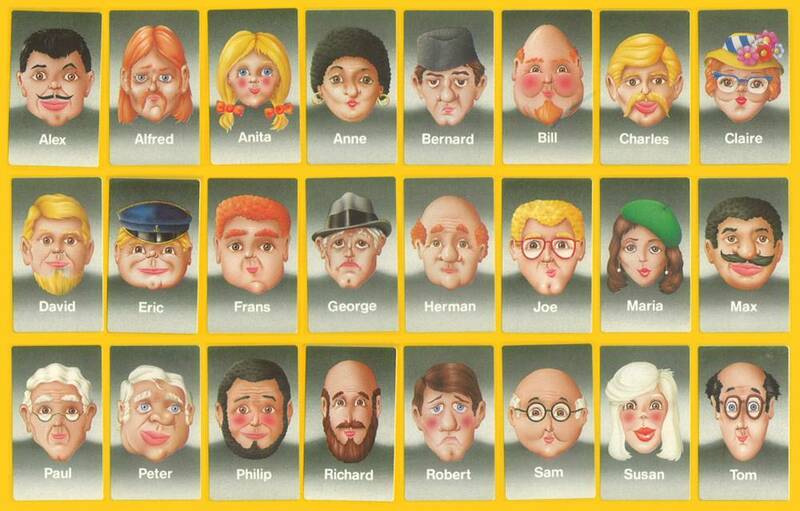 I used to think I was pretty good at the game and enjoyed making up variations like “Stereotype guess who?”. Asking questions like “Would they own a cat?” or “Would they be a member of Greenpeace?” or “Do they have a problem with alcohol?” It’s surprising how accurate you can be at guessing the character this way! One day in the shower I had the crazy idea (not the first time) of wondering if it was possible to play the game blindfolded. This then led me down the route of working out both an optimal strategy and then how to memorise the characters. before I go any further, quickly have a think what would be the best strategy for a game like Guess Who? Ideally you want to create a binary search by each question eliminating half of the characters. That way with 24 characters you are guaranteed to win in 5 questions (=Log 24 where I’m using a logarithm of base 2). However, the game designers are wise to this and have picked the characters to thwart this. Every major character feature has a 5:19 split. There are 5 women, 5 hats, 5 glasses, 5 beards etc. So with each question there’s a small chance of being lucky and getting down to just 5 people or a much larger chance of only eliminating 5 people. 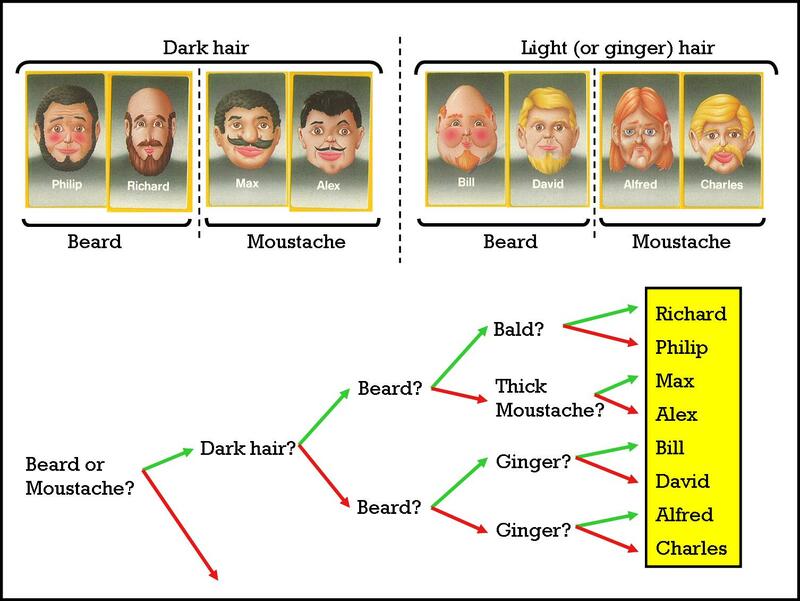 Having stared at those faces for far too long I decided the best opening question is: “Does the person have any facial hair?” as there are 8 people with beards or moustaches. Below is a chart showing the route I’d then take. You can then make up charts for the other options if there’s no facial hair. Personally I then ask if they were a women, if not then do they have glasses, if not then do they have a hat. Etc. How would you approach the problem? 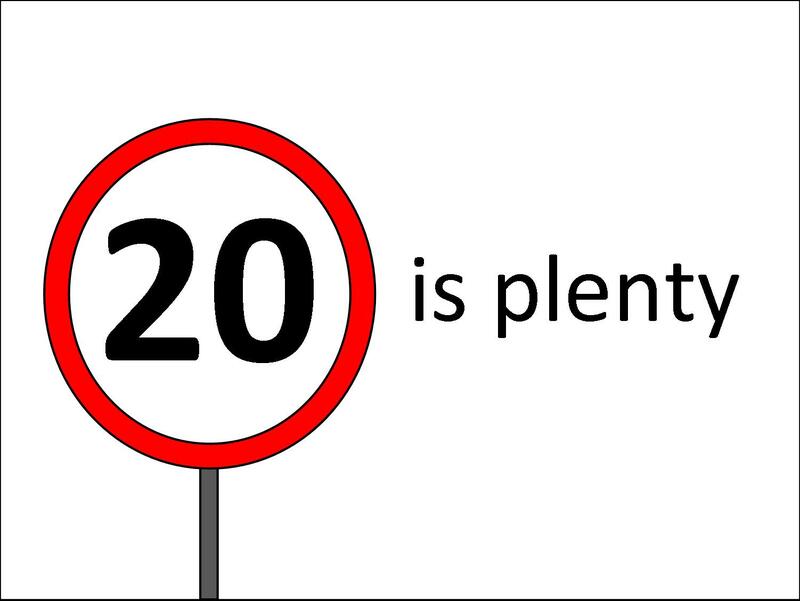 I came up with this game idea last month to use in a primary school maths workshop on numeracy skills. It’s based on Blackjack/Pontoon but I wanted a simpler version that didn’t look like gambling. Rather than use playing cards I used dice. Each team received a die and all the groups rolled at the same time. The number was that team’s score. The rolling was repeated and the new number added to the score. I got the pupils to tell me their total score each time. At some point there’s a danger that the roll will make the score above 20 so the team has to decided at what point to stop rolling. You can use this opportunity to talk about probabilities. I found that the majority of teams became very competitive and took big risks by keeping on rolling even when their score was 18 or 19. In terms of practicalities I split a class into 4 groups. Each group sat in a line one behind the other. The first person rolled the dice, added the score up, passed the dice to the next person and then went to sit at the back of the line. That way everyone got a chance. Towards the end of the game the group got to vote on their decision to stop or continue rolling. I let them re-enter the game at a later stage. There are lots of ways you can vary or extend this depending upon time and ability. You could have a larger target number. Use two or more dice each time. Use playing cards instead of dice. Why not include negative numbers on the cards? You’d need to make sure there was more positive than negative numbers though! Keep a cumulative score of wins if the game is played multiple times. It could be used as a quick time filler in the classroom and the wins counted up over the period of a week/month/term. For more advanced groups they could calculate the probabilities and the average number of throws you’d need to reach 20.